These lightweight battery powered hoists and cables are ideal for a range of lifting applications. Each battery-powered hoist is supplied with a heavy-duty storage case to protect it. The hoists have a working time of 25 minutes' continued use on a full load, allowing you to perform a wide range of operations before recharging. All of the battery-powered hoists and cables we supply are made to the highest standard. High-quality materials are used to ensure that your products will last time after time. To ensure safety as well as quality, all of our battery powered hoists are fully tested and certified, with a 1-year warranty included as standard. There are a number of integrated safety features included in the hoist's design, such as an emergency stop function and overload clutch.  SafetyLiftinGear's battery powered hoists come in two different weight capacities: 250kg and 500kg. For added flexibility, we also supply pendant extension cables in both 3.2mtr and 7.2mtr options - like the hoists themselves, these battery-powered hoist extension cables are available both to hire and to buy. Please ensure that the battery-powered hoist you order is capable of the weight capacity required in your lifting project. If you have any questions about the equipment you might need we are more than happy to advise you. If you have any questions about our battery powered chain hoists and cables, please feel free to get in touch here.